Headlines appear every day about the lack of workforce diversity in even the world’s most successful companies. Despite substantial investments of time and money, change is slow. Inclusive decision-making helps you change the conversation. It can drive change in months by activating the power of diversity already present in your workforce, conferring a decisive competitive advantage to your business. 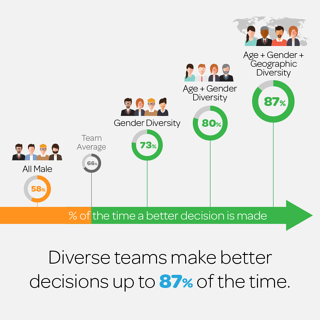 Start using inclusion and diversity to improve your business performance via the decision-making process. This white paper shows you how.